Welcome to Greyhond Sunday - November 7, 124pm. 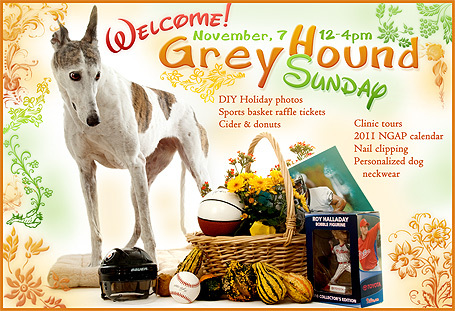 Welcome to Greyhound Sunday - November 7, 12-4pm. 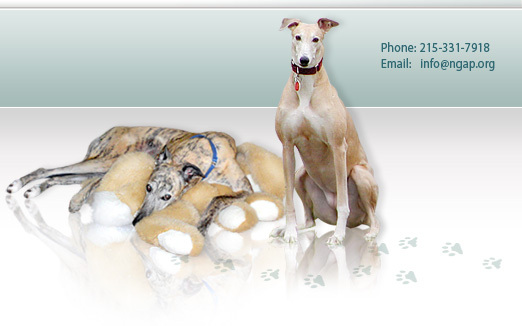 Bring your greyhounds for an afternoon with other greyhound owners and enjoy some warm cider and donuts. 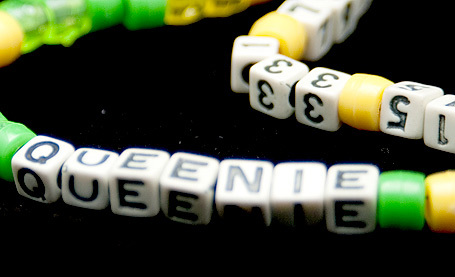 Make your own personalized dog neckwear!!! 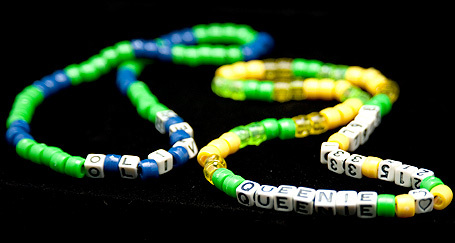 Select from colorful opaque or transparent beads and add your dog's name along with either your phone number or address. Make as many as you would like for just $5.00 each! Nail clipping will be offered - please sign up at the checkout desk when you arrive. 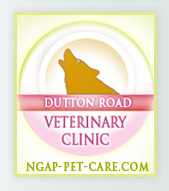 Be sure to take a tour of our clinic which is quickly nearing completion! We will have both a Christmas and Hanukkah set available for your use during our Greyhound Sunday event. Bring your own camera and your hound(s) and use our backdrop and props to take your own fun holiday photos! 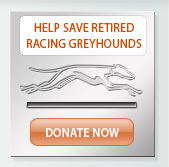 Now is the time to buy NGAP's 2011 Greyhouond Calendars. They make greyt gifts! Make sure to get our raffle tickets for a chance to win a basket of sports collectibles! Tickets are $5 or 6 for $25. Drawing to be held Sunday December 5, 2010. Purchase tickets on line, at our office or at our November or December event. Our special sports basket is worth over $600!!! ...and the usual GREYT shopping!